It has always been associated work on offshore oil platform as a dangerous, difficult and extremely hard job, but well paid. We can say that all this is true, many of oil jobs of offshore oil platforms exposed to the dangers of an open sea, adverse weather conditions, heavy machinery, gears, sudden temperature changes and endless workdays, all these factors make offshore oil platforms ones of most unsafety workplaces in oil sector. Clearly, not all employees of a platform are exposed to the same level of risk as the range of activities is varied and conditions vary depending on the job. Thus, employees of drilling and construction, and their assistants, working outdoors in harsh conditions; geologists and engineers divide their work between offices and the plant, and it provides intermediate conditions; Thus managers, executives and administrative personnel work in offices, enjoying the most comfortable conditions. Shifts on oil platform vary by offshore oil company that hire. From 21 days off for every 14 worked up to rest period equal to the time worked; They are also oil exploration companies in which it does not rest until the job is not finished. The working day for its part is really hard, 80-100 hours a week, because you have to be available 24 hours a day. Working on one of these offshore oil exploration platforms even a short period of time is a great source of income, since support, such as transport and accommodation are entirely provided by the oil company that hiring. The requirements to access to one of these offshore oil positions are extremely large. And this if for any job from mechanics, engineers and geologists to no experience jobs of Roustabout, Galleyhands etc.. Usually the first thing required for the offshore job on oil platform is that the applicant is of legal age. Good health and fitness will also be essential requirements while you are getting oil platform job; such conditions will have to be demonstrated by a physical examination by doctors of the oil companies that hire, as well as various tests for the detection of drugs or banned substances. How to find companies that really hire? While you are looking for high paying offshore oil platform job it is is very important to know which companies are really hiring. The majority of big oil companies such as BP, ExonMobil, Shale, Rosneft and other oil industry giants are hiring the personnel through certified, proven over the years channels. So looking for oil job in Pemex or Shell through inetrnet sounds like something quite funny and naive. That's why we are providing a list of smaller oil companies, scaffolding companies that working offshore, catering firms, plubming companies and other companies that hire offshore for various jobs on platforms. 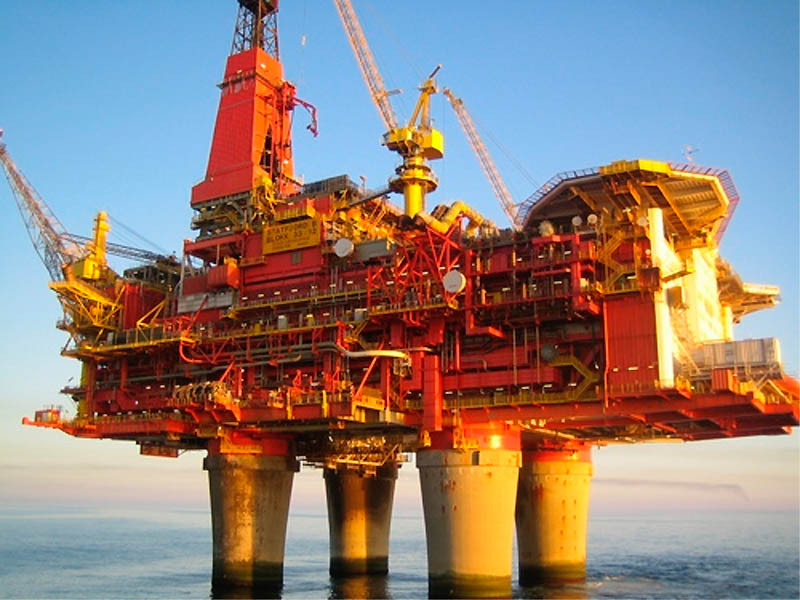 In fact any oil worker of any qualification can earn good money for working on offshore oil platform. Store Manager - Organization of goods and supplies and proper inventory, as well as providing staff everything they need to perform their respective duties and jobs on offshore oil platform. $ 36,000 per year. Galleyhand or Regular cleaner, waiter, steward and assistant cook sailor. Different cleaning jobs, service and cuisine. Around $ 23,000 per year. Roustabout on offshore oil platform is responsible for general duties on platform such as cleaning and maintenance of drilling pipes, heavy equipment. As usual earns about $ 36,000 per year. Catering manager - head of catering department on oil platform, whose role covers everything related to food preparation and quality control. $ 44,000 per year. Offshore Cook - supervises the work of preparation of all meals and is responsible for all the workers in charge of the kitchen. You can charge up to catering department. annual salary for this offshore job is $ 38,000. Driller is responsible for all drilling processes and machinery used in drilling process, being a position of great responsibility; supervises all drilling staff (drilling crew) for this job you can get $ 65,000 per year. Drilling Engineer oversees drilling operations; coordination with exploration and production departments in relation to innovative techniques and advanced drilling, and the study for possible application to the objectives and ongoing problems; identification of potential problems and recommend solutions. Very important and valuable person on offshore oil platform - $ 70,000 per year depending on the needs of oil company that hire. Although working on offshore oil platforms in the North Sea and the Gulf of Mexico or any other oil rich region is physically demanding, but you can easily earn € 6000 per month with a simple entry-level job as Roustabout of Roughneck. These oil jobs requiring absolutely no offshore experience and no specific education. Thus if you can perform physical demanding tasks you are suitable for this job. With a job in Norway and residence in Germany I would have to additionally make social security contributions and insurance, such as pension, health, and so on thus my monthly salary about € 4000. 04.05.2015. I myself am forty six years old, speak 3 languages, possess skills of working in Auto cad and Revit, have 30 years of construction experience, as a craftsman and as a planner, I live in Norway and the income you mentioned are known to me, I know a number of installers and also people who work on offshore oil platform. On a platform in Norway you earn as a beginner about 6000 Euros, depending on the activity. Robert. Diver - Responsible for carrying out all tasks and underwater works under the direction of engineer of the department or his assistant. Inspect and repair the various facilities and underwater machinery and equipment are in charge of diving and collecting samples. Diver also should be skilled in underwater welding. For such specific job you could earn $ 60,000 a year. Mechanical is responsible for maintenance of all mechanical installation of the platform and execute the necessary repairs can be promoted to chief mechanic. annual earnings on this position achieve $ 44,000. Rig Electrician - responsible for the daily maintenance and repair electrical high voltage systems installation - $ 44,000 per year.